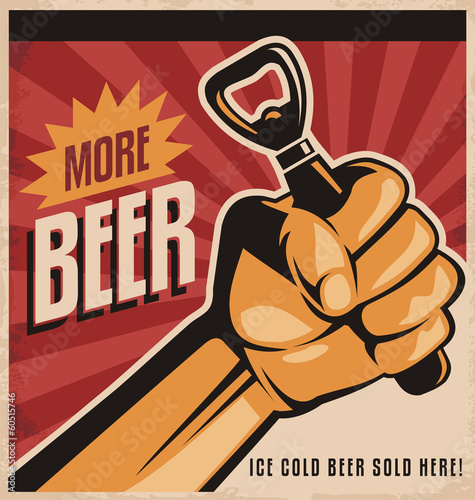 171201933 Beer bottle and beer opener retro poster design template. 160967670 Retro style image with ice cold beer mug on old metal background. Vintage pub or cafe bar decoration.